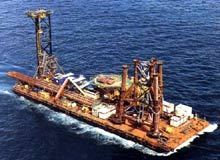 The Wonnich Platform Installation was installed in 30m water depth in an exposed location west of the Montebello islands, NW Australia. Wonnich lies approximately 25kw northwest of Varanus Island. The field contains up to 214 petajoules of gas at a 50% probability level and 4.1 million barrels of condensate. The design includes a helideck, facilities for boat access and a platform crane. It incorporates chemical-injection facilities for corrosion inhibition and a utility gas system. There is a vent-collection system wtih a cold vent, an open-drain system and a closed-drain system with pump disposal to export pipelines. The platform-control system consists of automation for remote control and houses a solar and TEG direct-current power system. Amiga Engineering Pty Ltd manufactured and provided Clough Engineering with 1500# F65, Provided Testing of flanges – NDT, MDR required including ITP. Machining and Weld overlay of the various flanges. The project was executed by a joint venture formed by three companies: Apache Northwest, Cufpec Australia and Tap and Clough Energy. The Wonnich 1 discovery well was drilled in August 1995. Wonnich is developed by an unmanned platform, tied back to production facilities at Varanus island, from which the platform is remotely operated. The field’s well-head pressure is sufficiently high to permit a flow of the wellstream to the island without the need for compression or pumping. 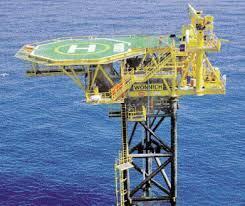 The top of the structure stands 55m above the seabed. The topside is 115t, while the lower and upper substructure are 335t. The main piles and insert piles weight 195t, giving a total weight of 645t. The platform and pipeline for Wonnich are designed to produce up to 120 terajoules (tj) per day.